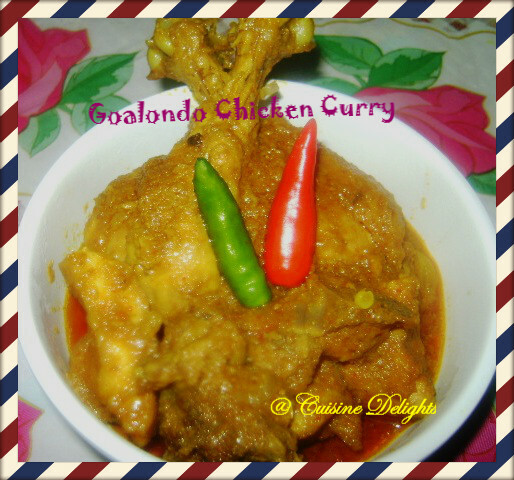 Goalondo chicken curry is a special chicken curry made of fresh chicken and basic spices. Muslim boatmen, plying boats along the Bengal-Assam border of India, used to make of dish. The boatmen would take time off to cook a meal for themselves in the middle of the river journey and gradually it became popular with the passengers too. I saw the picture of my blogger friends Moumita of Poetry of food. 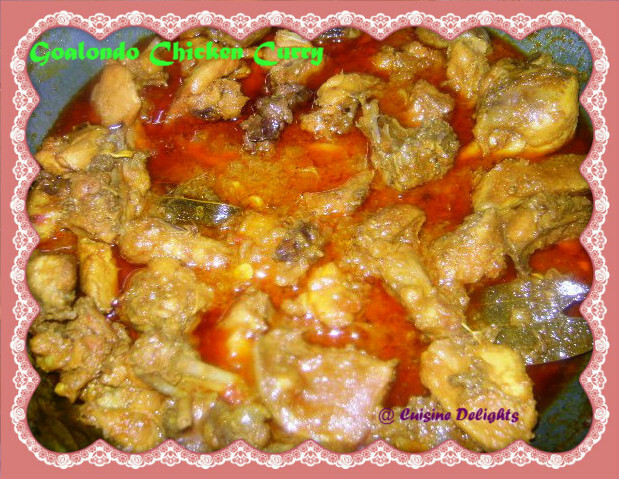 When I saw this recipe then I realised that my mom cooked this dish at home. Speciality of this dish is strong flavor of mustard oil, hot chilli and roughly chopped ginger-garlic and onion makes it super tasty. It taste is amazing good. 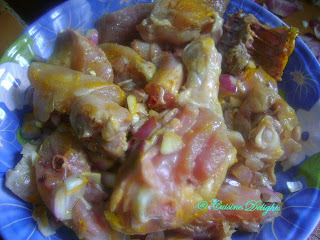 It goes well with hot rice or pulao or paratha. 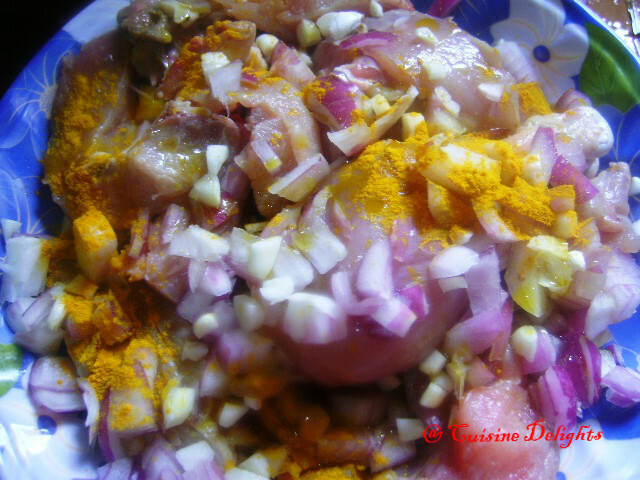 Marinate the chicken with all ingredients. Leave it for 30 minutes to an hour. Heat a kadai, add marinated chicken and saute for 5 mins then cover it with a lid. Cook it over low flame until done. No water, no souring agent is required. Check the seasoning and ready to serve.